On Oct. 14, the University of Missouri Office of Research, Graduate Studies and Economic Development will launch the Mizzou Venture Mentoring Service (VMS). Based on the highly successful Massachusetts Institute of Technology Venture Mentoring Service, Mizzou VMS will harness the knowledge and experience of highly successful business and community members from the surrounding areas to provide hands-on mentoring to aspiring entrepreneurs within the Mizzou community. Mizzou VMS is a confidential educational program and team consulting service exclusively for the Mizzou community. 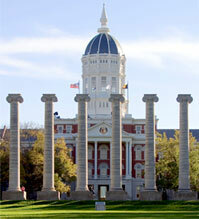 University of Missouri-affiliated entrepreneurs are eligible to become Mizzou VMS participants. Any up-and-coming ventures started by MU students, alumni, faculty, staff, licensees of the MU Office of Technology Management and Industry Relations, and clients of the Missouri Innovation Center and Small Business Development Centers are eligible to participate. The relationships between mentors and aspiring entrepreneurs are established on the needs and preferences of each participant and the interests and expertise of the available mentors. The mission of Mizzou VMS is to create an entrepreneurial culture that will help Missouri and the greater Columbia region retain its best and brightest entrepreneurial minds. If media wish to attend, please contact Nathan Hurst, 573-882-6217, hurstn@missouri.edu.